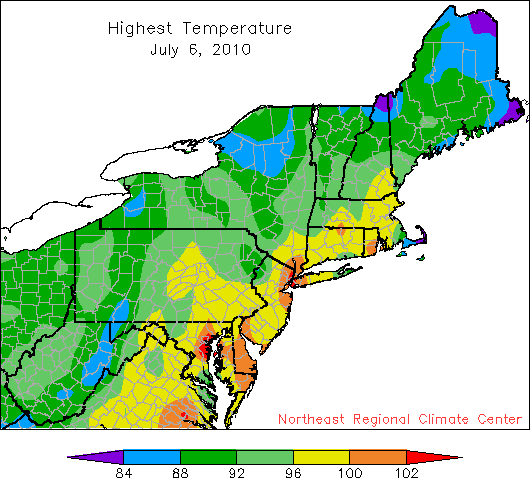 High temperatures on July 6 reached the 90s and 100s in many spots. Locations from Boston to Baltimore hit or surpassed the 100-degree mark on July 6th, breaking the record for the date set in 1999. Baltimore topped out at 105 degrees, setting a record for the date, but not hitting their all-time high of 107 degrees, set on July 10, 1936. More records are expected as the heat continues, with relief expected by the weekend.